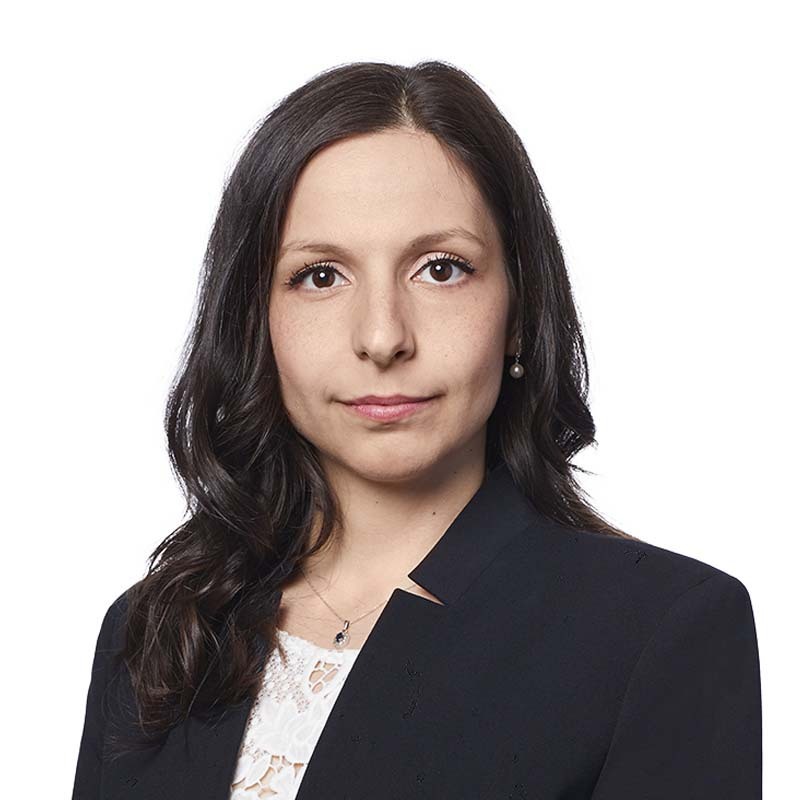 Laura Gheorghiu is a partner in the Montréal office of Gowling WLG and a member of the firm's Tax Group. Laura's practice focuses on cross-border (inbound and outbound) investment structures, corporate reorganizations and advising domestic and multi-national private equity funds. She is also developing an expertise in the application of taxation rules to the technology space in particular to providers of e-businesses and blockchain technology solutions. Laura has also advised on issues with respect to employer payroll and pension obligations, Federal and Québec value added taxes (GST/HST and QST) and Québec commodity taxes (in particular with respect to fuel and alcohol). Her dispute resolution practice includes representing clients in their dealings with the Canada Revenue Agency and the Québec Revenue Agency at the audit and notice of objection stages and preparing voluntary disclosures on income tax and sales tax issues. Laura has been recognized as a Women in Tax Leader 2017 by the International Tax Review. A frequent writer and speaker at the Canadian Tax Foundation (in particular, on subjects of international financing and the impact of bilateral tax treaties), she serves as an editor of the Taxation of Executive Compensation and Retirement Journal and is a co-author of the taxation chapter of the Business Guide to Environmental Law. She is also a member of the Canadian Tax Foundation Montréal Young Practitioners Steering Committee. Laura received her LLM Taxation from HEC Montréal in 2014, receiving the Canadian Tax Foundation award for her accomplishment in obtaining the highest grade-point average of her class, as well as the PSB Boisjoli merit and HEC Montréal Board of Graduate Studies Diplomas merit scholarships during the course of her studies. Her master's thesis focused on Canada's thin capitalization regime. She also obtained a B.C.L. and LL.B. from McGill University and a Bachelor of Business Administration (B.B.A.) (receiving the Lieutenant Governor's award placing first in her program). She was admitted to the Québec Bar in 2009. Laura also serves as director on the board of the Chambre de commerce roumaine du Québec. Laura practices law in English and French. She is also fluent in Romanian. Presenter at the "Corporate Management Tax Conference" organized by the CTF in Toronto (June 5 and 6, 2018). Presenter at the CTF Luncheon Conference Montréal "Impôt de la partie XIII - aspects pratiques" (March 2, 2018). Organizer and presenter at the Blockchain and Taxes workshops and conferences in Montréal and Ottawa (February and March 2018). Presenter on the "Tax & Securities aspects of blockchain" panel organized by McGill College for the Innovation Week in Montréal (February 21, 2018). Presenter at the "Femmes en droit : pratiquer à sa façon" organized by the Université de Montréal (January 30, 2018). Moderator at the CTF Luncheon Conference Montréal "Discussions pratiques en matière de divulgations volontaires" (January 19, 2018). Presenter at McGill for the students "Careers in tax and corporate & securities law" organized by Gowling WLG in Montréal (January 15, 2018). Presenter at "Blockchain Impact: Bootcamp & Event" organized by FinTech Canada in Toronto (December 9, 2017). Presenter at "Blockchain: recent developments and applications" organized by Gowling WLG à Montréal (November 22, 2017). Presenter at the "69th Annual Tax Conference - The Multilateral Instrument: A Canadian Perspective" organized by the CTF at Toronto (November 20, 2017). Presenter at the CTF Luncheon Conference Montréal on "The Multilateral Instrument: A Canadian Perspective" (May 29, 2017). Presenter at the CTF Luncheon Conference Montréal on "International Financing" (February 17, 2017). Moderator at the CTF Panel Discussion on "Jean Coutu Groupe / Fairmont Hotels Inc. - Supreme Court decisions on Rectification" (January 23, 2017). Presenter of a workshop at the CTF 68th Annual Tax Conference on "The Thin Capitalization Rules" (November 27, 2016). Presenter of a workshop for CTF Montréal on "Thin-Capitalization Rules: The details (including relevant 2016 Federal Budget proposals)" (May 17, 2016). Back-to-Back Royalty and Character Substitution Rules, Canadian Tax Focus, Volume 6, Number 4, November 2016.
a non-resident food flavouring manufacturer assisting with the income tax and sales tax aspects of the expansion of their sales operations into Canada.